It’s often said the only thing any of us really have is our health. That’s why it’s important to promote and preserve good health wherever possible, whether in our personal or our professional lives. As the expression says, our health is our wealth! We’ve put together a list of simple ways you can use to improve your health in the workplace to ensure you’re in top fighting form for the working days ahead. We’ve all fallen victim to the “sit and snack” routine. Being so engrossed in a task that the elevenses snack of biscuits with your coffee is almost finished in its entirety while plugging away at the keyboard. Consuming too much sugar can lead to health conditions such as diabetes and obesity (Kubala 2018). Switching some of these processed, sugary foods for healthier alternatives such as fruit, nuts and honey will give you a tasty natural boost. Naturally sweet alternatives such as fruit and nuts also provide extra vitamin supplementation to boost the body’s immune system. A good cup of coffee or tea can be a great pick me up for those tough slumps in the day. Plus, it can help with weight loss and enhance cognitive function (Weatherspoon 2017). However, it’s something to be used wisely and in moderation. 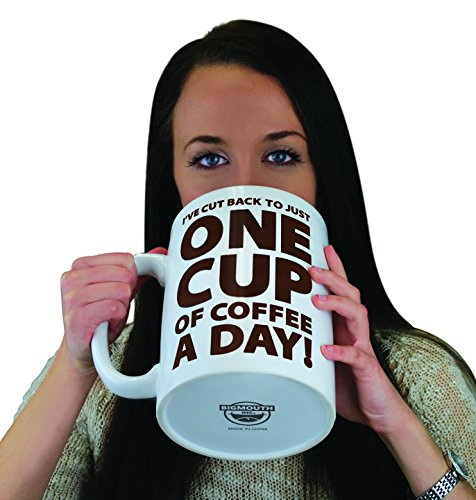 Too much caffeine can potentially lead to high blood pressure, increased heart rate and insomnia (Spiritzler 2017). Getting the right balance and curbing the caffeine will allow you to maximise the boost, without the nasty downside. If you just love the taste of coffee, then decaffeinated coffees are a great way to go too. Looking after our mental and emotional health is just as important as maintaining good physical health. A messy desk can be a distraction and increase stress due to being constantly exposed to more visual stimuli than necessary. Plus, not being able to find things needed quickly can increase stress (Carter 2014). 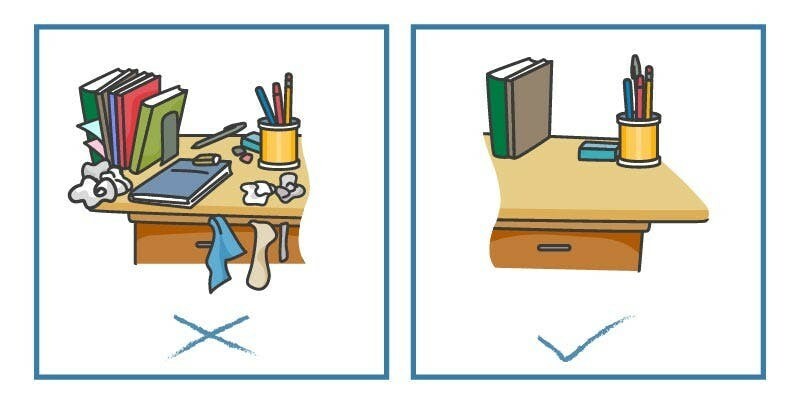 Having a clear desk allows you to focus more and increases productivity. Try investing in a desk organiser or some drawers to free up some room on your office desk. Promoting good hygiene is important for both social and health reasons. Simply keeping clean gets rid of harmful bacteria and the act of washing hands before meals is a simple but effective way to promote good health (Johnson 2018). 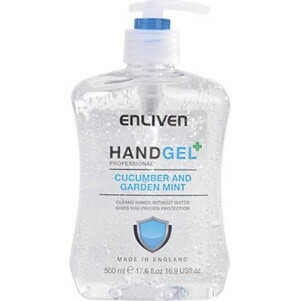 Even when snacking or after coughing or sneezing, having antibacterial gel nearby is a great way to promote good health through pre-emptive measures. Our bodies are 60 percent water, so it’s important to stay hydrated and replace water lost throughout the day. 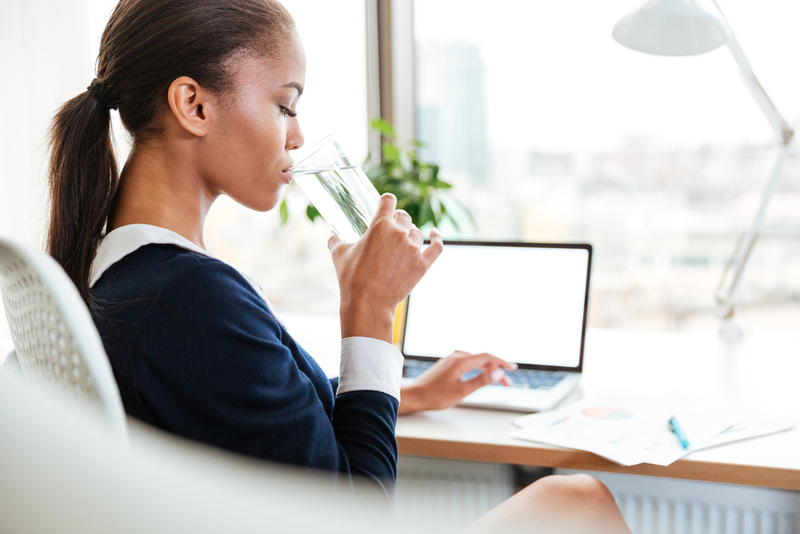 Drinking water also helps improve focus and reaction time, allowing us to stay more focused and engaged while working (Writer 2013). Proper hydration can also suppress hunger, which can often be disguised as dehydration. Sitting for too long can increase chances of chronic health problems such as heart disease and diabetes (State of Victoria 2018). It’s said sitting is the new smoking, and no wonder. The physical act of getting up to get a refreshment promotes blood circulation and reduces stress levels by being away from the stressful source for a moments respite. Try factoring in some time for refreshments to reduce stress levels and get your blood pumping. As you can see, taking steps to be healthier can be easier than you may have first thought. Making small, simple changes can really make a large difference to your physical and mental health, allowing us to be happier and healthier during time spent in the working environment. Which one are you most excited to try to incorporate into your working day?